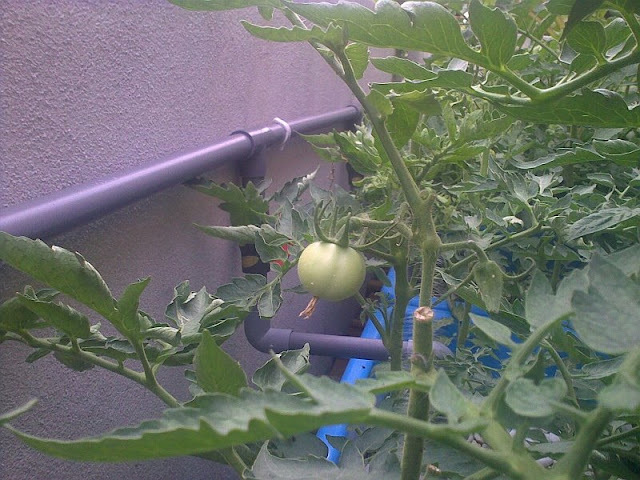 It must be very lonely being the only Tomato in an Aquaponics setup. So far this is the only Tomato in my setup, slowly more will come. I just got to get the balance right. Lack of sunlight may also be one factor that contribute to this low yield. That could also be a problem, my backyard is a bit isolated due to it position. This could cause low yield. Unfortunately this is one factor that I have not figure out to overcome. Will hand pollination work ? It should work, I never tried it becouse I have alot of bees in my garden.